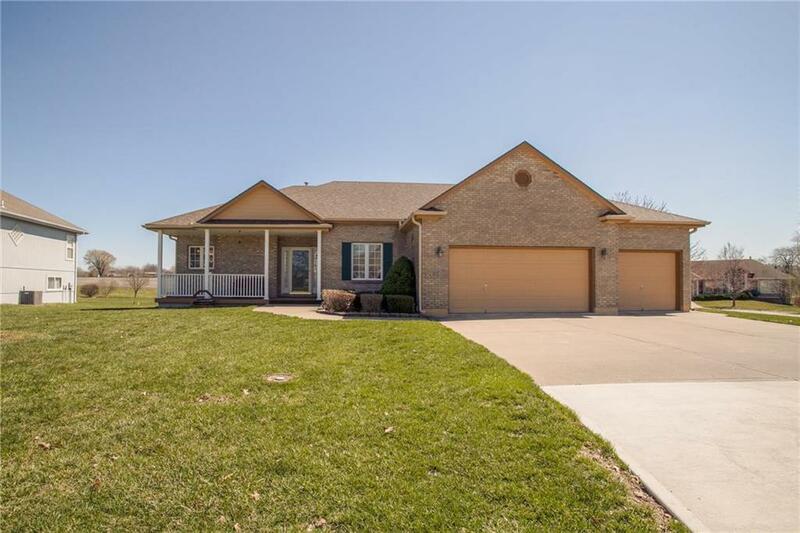 Pride of Ownership is evident in this spacious Ranch! This Beautiful Home Sits on a Large Corner Lot, Covered Front Porch Plus Sunroom, Full Living Quarters on Main Floor and Lower Level, Formal Dining Rm or Office, Butlers Pantry, Open Airy Living with lots of Windows for Natural Light, Great Rm with Vaulted Ceiling and Fireplace, Lower Level includes Large Family Rm, Full Bath and 4th Bedroom, Master Suite with Vaulted Ceiling, Sprinkler System, Newer Roof & Air plus Deep 3 car Garage! Hurry Priced to Sell Now!